The Price of Information | Write about what? Humankind’s love affair with technology is not a new development. At the beginning of the twentieth century, the advances in industrial technology were touted as the solutions to problems of crime, poverty, ignorance and the boredom of ordinary daily life. The level of education was rising. 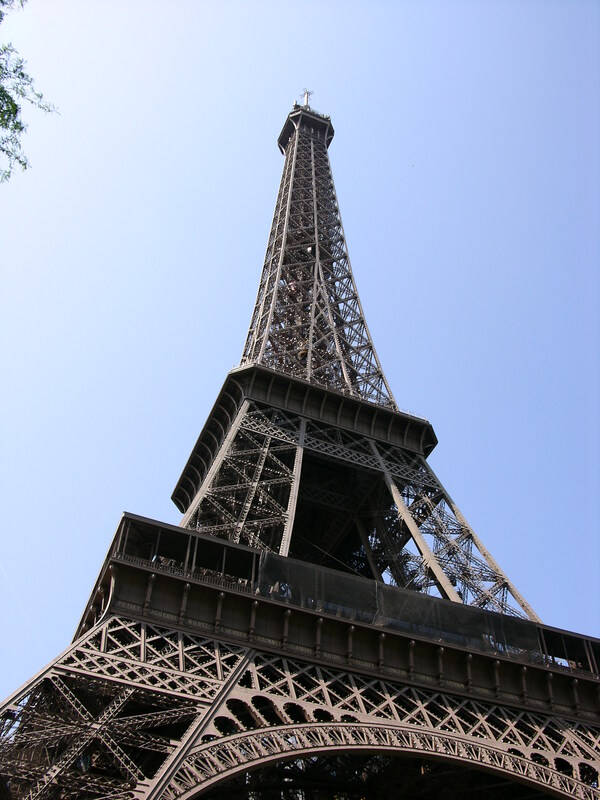 La Tour Eiffel, nicknamed “the Lady of iron,” was a symbol of the new power of industry. However, as the world celebrated the advancements of technology in art, and architecture, the reputation of technology received a blow. The Eiffel Tower watched over two world wars. The first war reached an intensity unknown before that time due to new industrial technology in weapons. The second war resulted from the resource grab to build up industry and overcome the recession following the first one. When the wars were over we had multiple new ways (poison gas, aerial bombing and atomic weapons) to exterminate vast numbers of humans in an easier and less personal way. So what will be the cost of the information age into which we have thoroughly thrown ourselves? In 1970 a book was published by Alvin Toffler called Future Shock that described the stress and disconnectedness that comes when change occurs too rapidly. (It was even made into a film for those too overwhelmed with information overload to read.) Although, I do not agree that most of the social problems in our industrial society are due to inability to accommodate rapid change, I do find some of the problems that it causes apparent in education. For example, because it is much easier to produce new material, we make changes to curriculum – constantly – even thought the improvement made is often out-weighed by the effort of the learning curve required. During the seventies, I recall learning a new ‘language’ based on simple English phrases that would allow me, a relatively unsophisticated high school student, to communicate my commands to a computer. It was called BASIC. This language is one of those dinosaurs of the early information age that has not yet gone extinct, although it is relatively unknown today. I have lived through the birth of multiple changes to computing. Most students do not bother to learn this kind of technology in depth, but concentrate on finding the newest, latest app to make their life easier. But is life really getting easier? As we accelerate towards a rate of change in technology that makes much learning obsolete within a decade, the demands of constant relearning is bound to create new difficulties. Several times recently, it has been brought to my attention that although students have the world of information at their fingertips, they do not know how to do research on the Internet. To tell the truth, research was in many ways easier before the Internet. There were fewer places to look and published works had to pass the review of a ‘gatekeeper’ or editors and publishers, that which helped to cut down on inaccuracies (at least those that were not wide-spread socially acceptable ones). However, I did have to actually leave my house, travel to a library and actually talk with someone face to face in order to do research. But there is a price to be paid for the luxury of being able to have so much information available anywhere there is a wi-fi signal. There is so much duplication and so many useless dumbed-down articles churned out for the generation that is supposed to be suffering from short attention span. I was reviewing a short news video clip today and saw the same footage repeated three times within three minutes. It seems we are no longer suppose to remember anything without constant repetition. But that means we are taking longer to learn the same amount. This entry was posted in The information age and tagged Alvin Toffler, Eiffel Tower, Future, Future Shock, Information overload, technology. Bookmark the permalink.